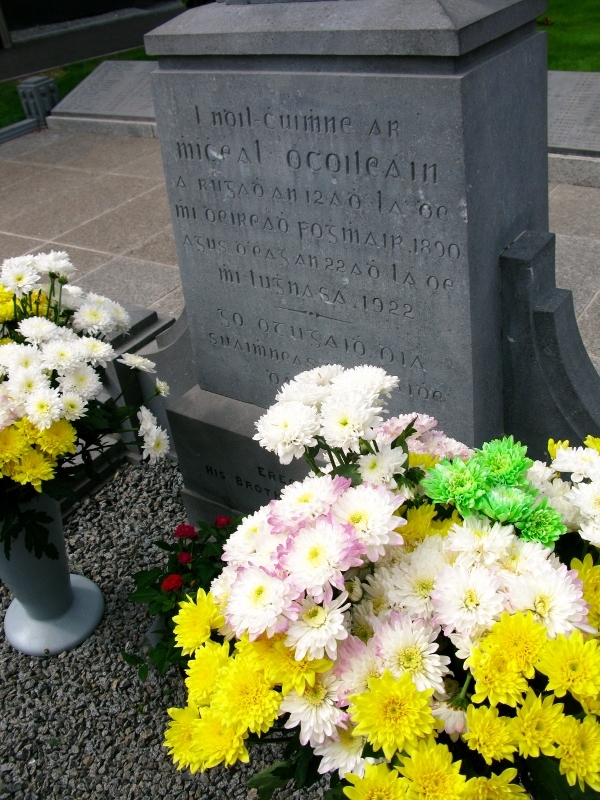 I thought I was a little odd visiting Bródy Sándor’s grave each November and leaving flowers, but I have nothing on this 40-something French girl who comes to Ireland five or six times a year to visit Michael Collins’s grave in Glasnevin cemetery and also sends flowers for Valentine’s Day and his birthday. Amazing what Liam Neeson’s portrayal of the great man can ignite. Mind you, I inherited a photo from my aunt of a man in uniform, sure that it was of my grandfather. A friend visiting from Ireland said he was surprised that I’d have a photo of Michael Collins on my wall. I’m not sure who got the bigger shock. Michael Collins ranks up there as one of Ireland’s great historical figures. 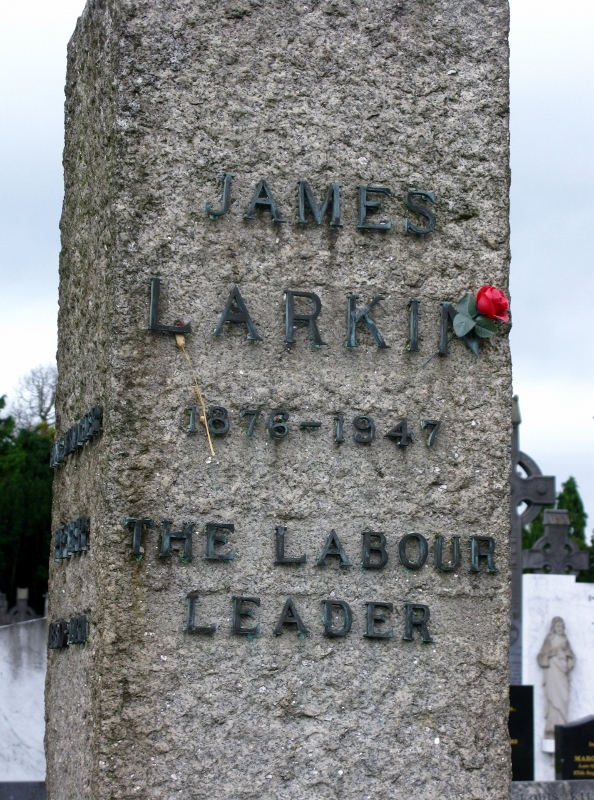 And Glasnevin cemetery is full of them. 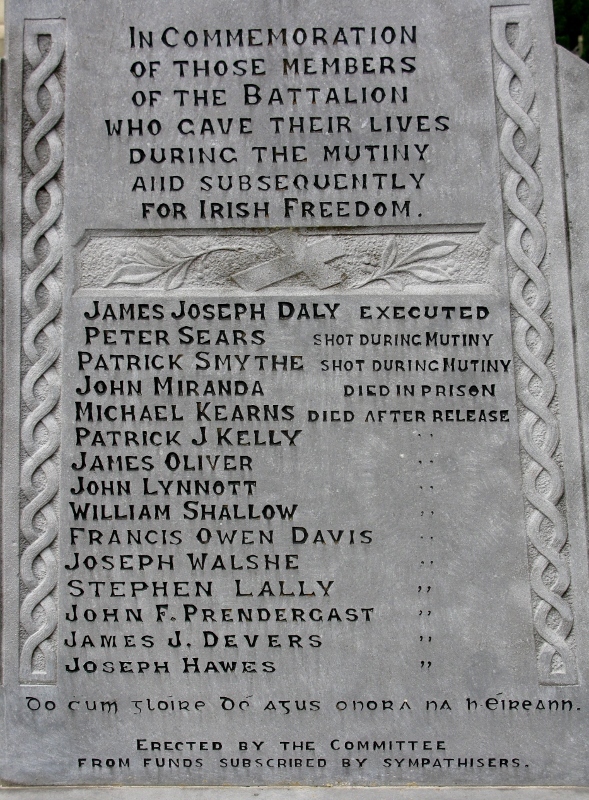 Parnell, Larkin, O’Donovan Rossa – they’ve all secured a place in history and a plot in this cemetery. Used as I am to rather banal epitaphs, it was quite a shock to see cause of death etched in stone. Walking through Glasnevin was like leafing through a history book. I felt stirrings of that elusive thing called patriotism as I was reminded, yet again, that the freedom I enjoy today is courtesy of so many who gave up their lives to secure it for me. There were two sides in the Civil War and to this day, there are two camps alive and well in Ireland. I wrote a while back about the American Civil War and the South’s reluctance to move on and let go, so it was with more than a little chagrin that I listened to our guide tell of visitors who would refuse to stop at de Valera’s grave or walk by Michael Collins without as much as a nod. And I wondered, not for the first time, about history, and how, how it is passed on shapes our view of the world. Romantic Ireland’s dead and gone; it’s with O’Leary in the grave. And again, in the poem Beautiful Lofty Things: Beautiful lofty things: O’Leary’s noble head. I’d always wondered who this chap was and now I know. 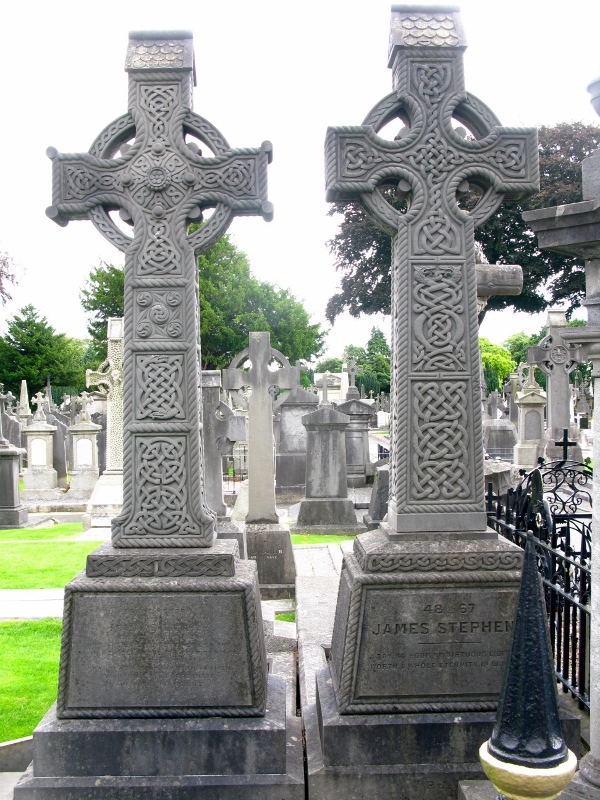 Buried next to James Stephens, for whom he was best man, O’Leary was a Fenian, believing in Irish independence and the separation of Church and state, and, apparently, a friend of Whistler. Now there’s a connection that would make for an interesting six degrees of separation. The prize for the best-attended funeral in Glasnevin cemetery goes to Charles Stewart Parnell – more than a quarter of a million people turned out to see him buried – a sizable number of whom wanted to make sure he was dead. 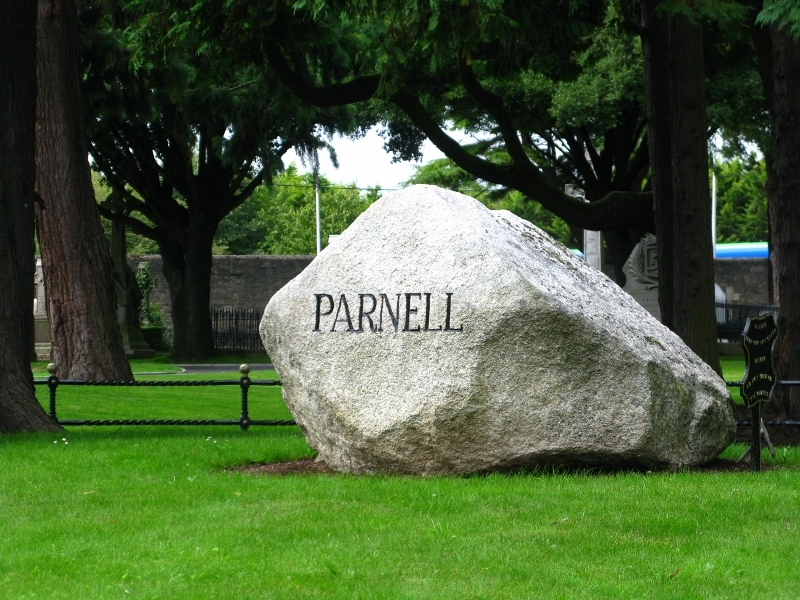 Parnell was buried in the cholera pit, where more than 13 000 others met their end in a mass grave. It was thought that here, he’d be safe from the grave robbers and those who might want a piece of him. In many countries, grave robbing has fallen off the statutory law wagon. Back in the day, when medical universities needed bodies to dissect, corpses were traded by the imperial inch. Just one body was worth two months’ wages in Ireland and in the UK, the same body would be worth six. In Austria right now, police are looking for a grave robber who has broken in the graves of composers Brahms and Strauss and stolen their teeth! Apparently, he plans to open a museum. Oh, the workings of the human mind – what a mystery. I am reminded of the utter shame I feel, knowing what my country did to yours. Dispicable. C.